The writer of this blog is a lady in Los Angeles who is currently committed to flamenco and wedded to no one — hence, married to the dance. She uses this space to ramble on and on about flamenco so that her friends and family are no longer forced to listen to her talk about it incessantly — now they can come here and read all about it only if they want to. Good idea, right? 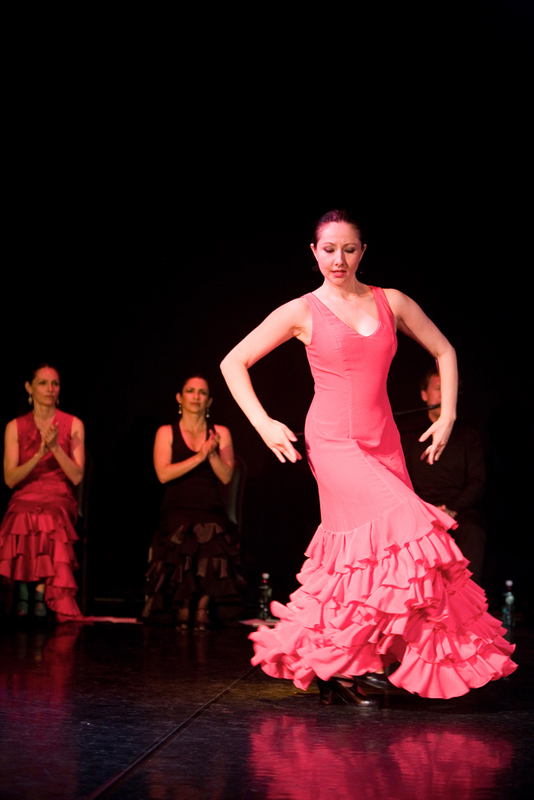 She’s been studying flamenco dance with Rina Orellana since September 2008 and has been writing about it since April 2010. That’s me in pink; that’s Rina behind me, in black.